Line pulls range from 550 lbs (250 kg) to 1650 lbs (750 kg). 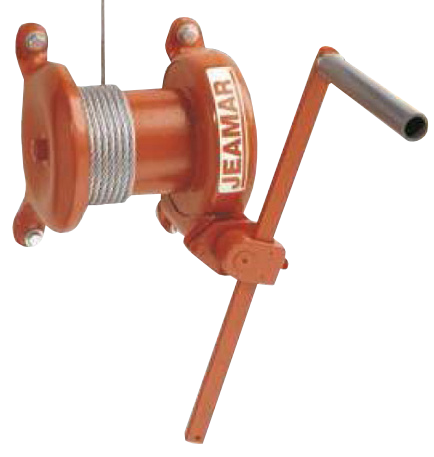 The removable handle prevents tampering if the operator must leave the winch under load. The WSG's enclosed worm shaft and worm wheel is immersed in an oil bath. This provides constant lubrication and protection from corrosion. Maintenance is reduced while life expectancy is increased. 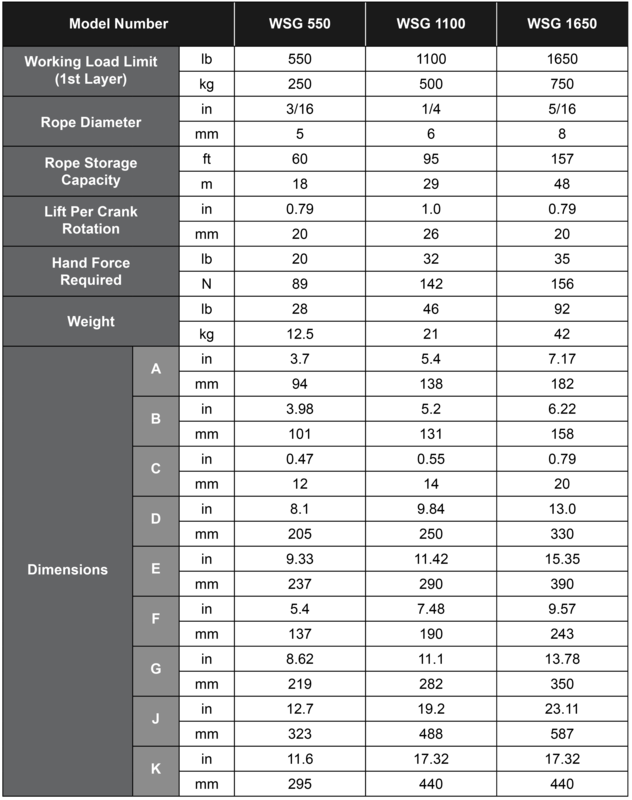 Rope life is substantially increased with drum diameters, a minimum of 20 times the diameter of the rope. Brakes respond automatically when the handle is released. Recoil is prevented and the load is held securely in any position.